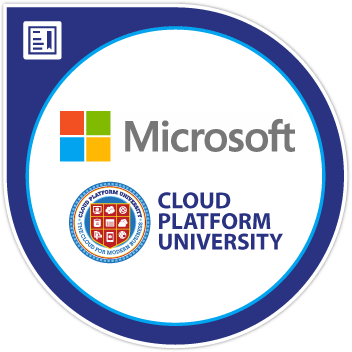 This badge represents a foundation of knowledge in Selling Azure for Big Data Analytics Solutions as part of Microsoft's cloud technology strategy. The completed course helped technical sales professionals develop a comfortable understanding of the customer opportunities and challenges of big data acquisition, storage, and analytics. The offering consisted of a self-directed online learning course that included videos, resources, and discussion forums to complete within the timeframe required. Completed the four-week long course in Selling Azure for Big Data Analytics Solutions as part of Microsoft's cloud technology strategy. Provided peer reviews and worked collaboratively to complete course projects, assignments, and activities. Created a final, cumulative project in the form of an Opportunity Plan to sell Azure and SQL Server solutions to customers to support business continuity. Met or exceeded course requirements for points accumulated through course activities, projects, assignments, and assessments.